Event planning requires that many specific factors come together to produce one successful event. The problem is that many of those factors are out of your control. However, having powerful data can get you back in the driver’s seat, especially when it comes to severe weather. Historical precipitation data and meteorological services can be valuable tools when choosing a date for your event. If you’re setting the date for an important event, you’ll need to know in advance how likely it is to rain on that day. Historical weather maps give you information about weather patterns for any location. With historical precipitation data, you can see how rainfall has affected a location in the past. That’s a powerful tool to help you predict future weather. Having meteorologists at your disposal is a definite benefit when it comes to your events. Earth Networks can provide one-time or recurring meteorology support. That means you’re one step ahead of the weather as your event unfolds, so you can make critical decisions before it rains on your parade. Meteorological services can give you an edge in providing safety for guests, especially if your event is taking place in an outdoor venue. Knowing in advance about incoming severe weather such as lighting gives you enough time to clear areas if needed in order to enhance safety and security. This is one less thing to worry about, giving you greater peace of mind. With so many factors outside of your control during your event, it’s smart to get as much information as possible for the things you can prepare for. Weather is one of those factors. 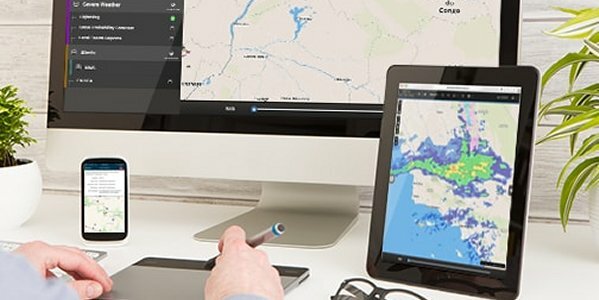 With Earth Networks meteorological services and historical precipitation data, you can make decisions that work together with the particular circumstances of your event. Accurate forecasts and real time data combined with past trends are all important pieces of information that allow you to plan for success.